When I get together with couples for their engagement session, for the most part, this is the very first time meeting them face to face! 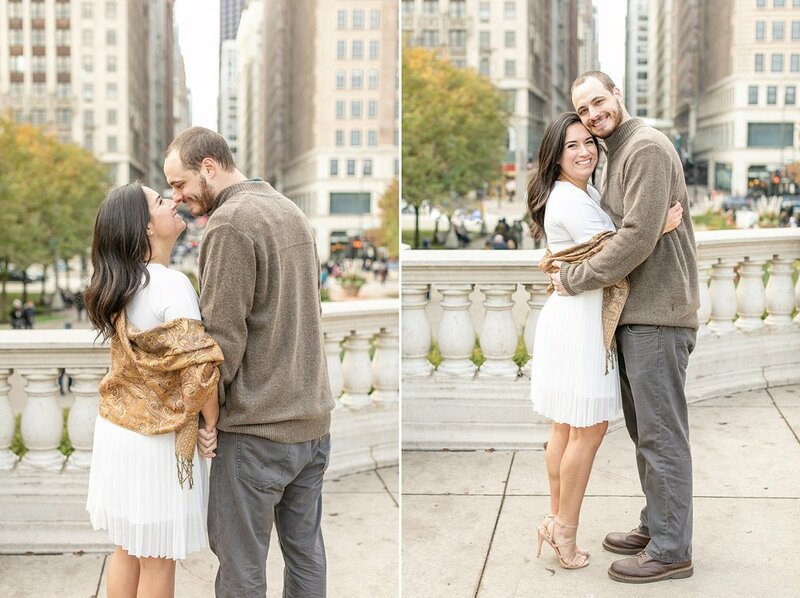 This was not the case with Monica and Mike because they have been in front of my camera once before! Mike’s sister Meagan was one of my sweet June brides this year!!! (view Meagan and Chris’ gorgeous wedding day here!) Gosh it was such an amazing day! I remember when we were taking their family formals and I would read off “Mike (Meagan’s brother) and Monica (his girlfriend)” and NOW, she is his FIANCÉ!!! And I get to photograph THEIR love story now! :) I can’t wait to see the Hoffman family again next year! One of the things that stuck out to me when Monica was telling me all about what she loves about Mike was that he is such a thoughtful person! Every birthday, anniversary, holiday or special event, he was always prepared with the sweetest and most thoughtful gifts/ideas! (I love that!!) And their proposal was probably his best one yet! He planned an entire evening for just the two of them! He decorated a hotel room downtown for them to stay and that is where he popped the question! With no one else around, no distractions, just the two of them to soak in that amazing moment alone! Now they are planning an August wedding next year with all of their closest family and friends and I can not WAIT to celebrate with them all! 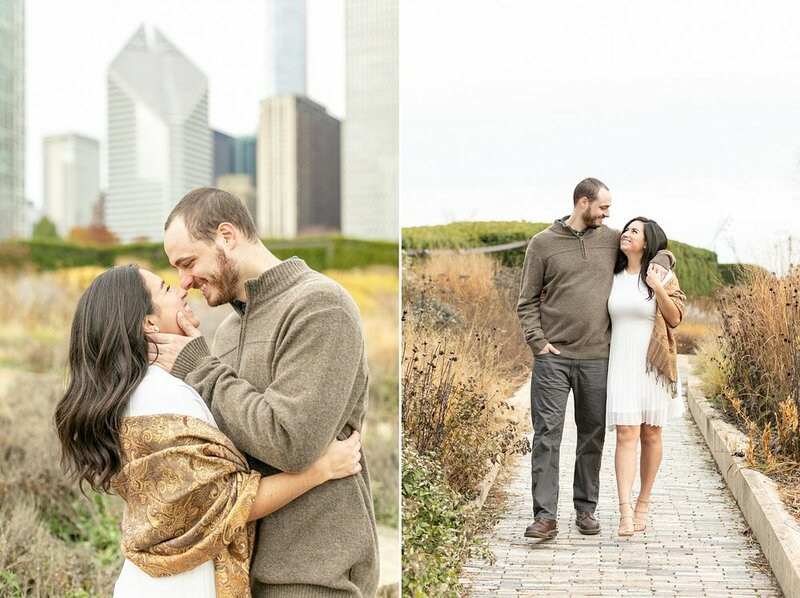 The day of their engagement session was an off day that it was actually pretty warm for a late November day in Chicago! The sun was out and the city surprisingly wasn’t too crowded! Win, win!! We started their session at the Civic Opera House and this was the first time I’ve seen this place in person! It was SO beautiful! All the gold detailing on the windows and doors, the grand columns, and those lantern lights! I loved it all SO much and could photograph these two there ALL day! They were SUCH pros! All I could ever ask from a couple is to just relax and be in love and I will do the rest! Monica and Mike were so wrapped up in each other the entire day! They definitely made my job easy! 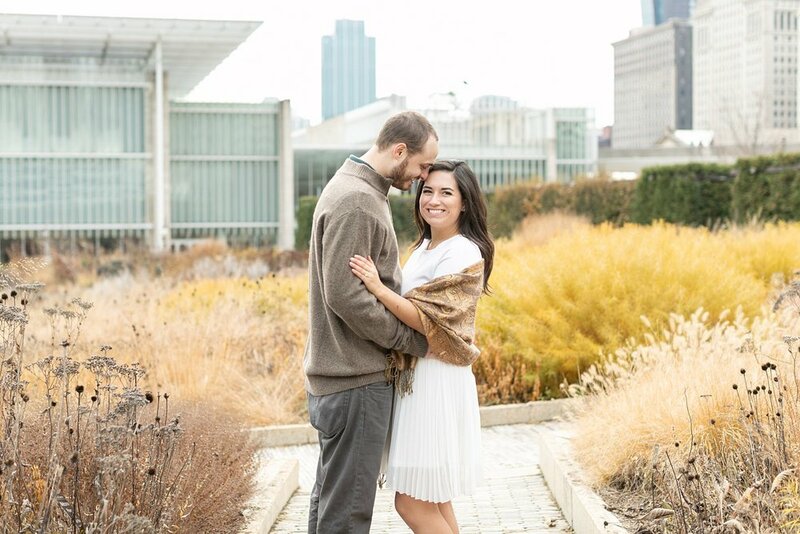 We did an outfit change and moved the 2nd half of the shoot to Millennium Park! I had such a blast with these two exploring downtown and just getting to know them better! 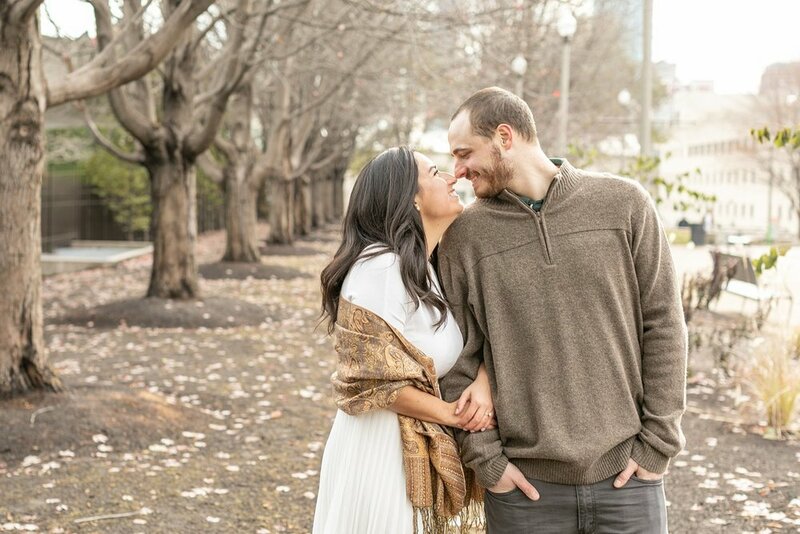 I hope you enjoy some of my all time favorites from their engagement session!